If you are planning an extension to your home, installing a spiral staircase within it, even if just to a mezzanine level, provides a functional and beautiful staircase without taking up much space. 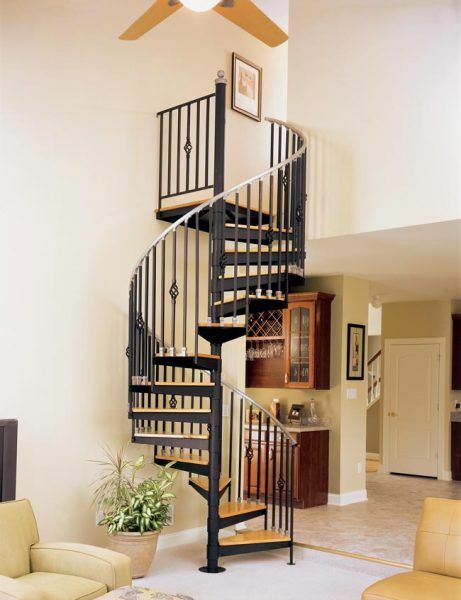 A spiral staircase can fit into the corner of a room. 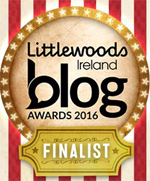 It can be made from a variety of materials including the more traditional wooden stairs. 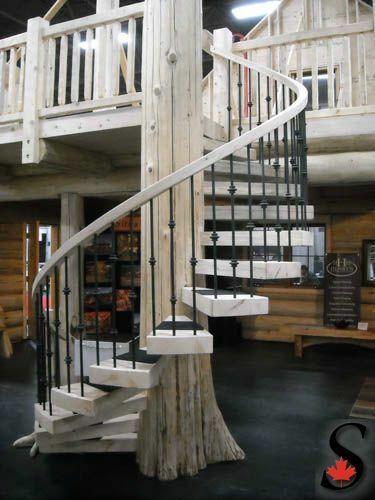 To really show off a spiral staircase, consider its positioning carefully. 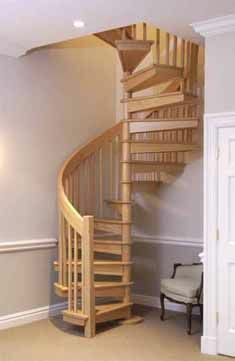 While many position a spiral stairs by the wall, it will appear much more dramatic if positioned in the centre of a room. 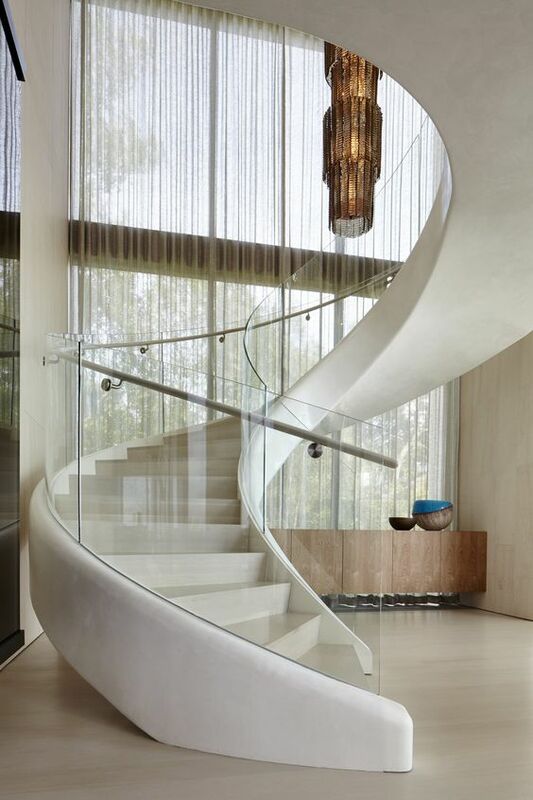 A toughened glass balustrade on a spiral stairs means the emphasis is placed on the appearance of the curved steps, making it appear fluid and almost musical. Wood resembling a tree trunk as the central pivot of the spiral stairs emphasises the beauty of the wood in the whole design. 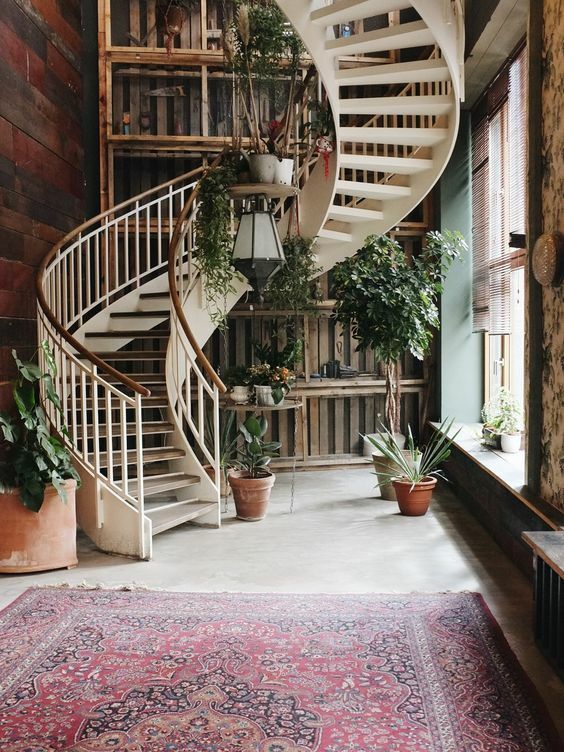 A spectacularly rustic yet stylish spiral staircase. 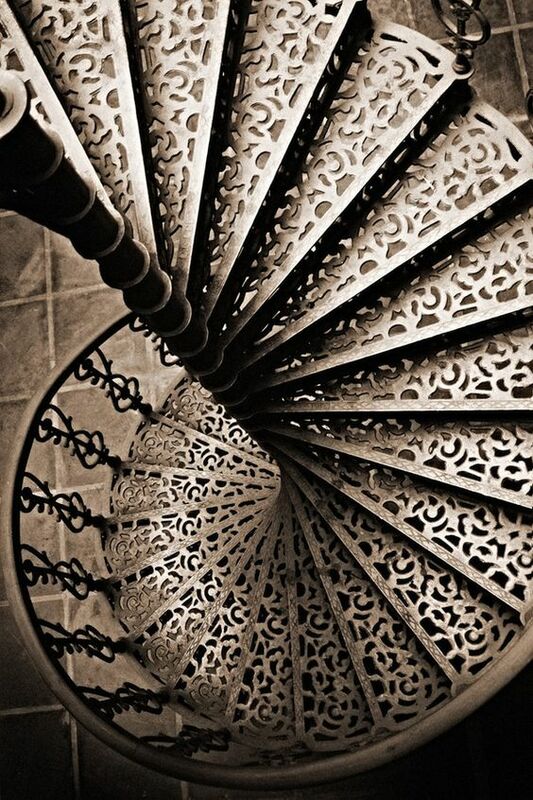 Victorian in style, this wrought iron spiral staircase takes up very little room and is stylish. Perfect for accessing an upstairs office, guest room and mezzanine level. 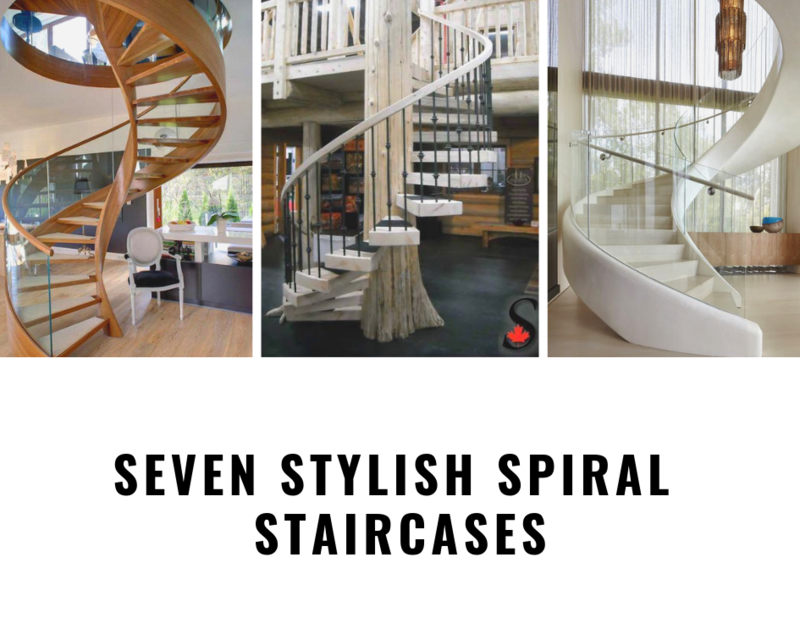 Spiral staircases come in such a variety of styles and materials, there really is a wide choice for every type of interior design and home. 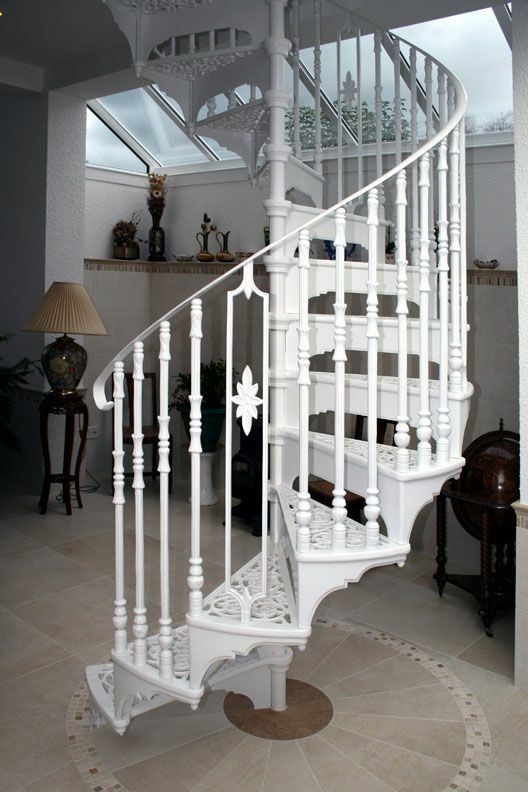 We hope these are provided you with some inspiration should you be considering a new or second stairs within your home.